Muddle mint leaves, lime wedges and vanilla syrup together. 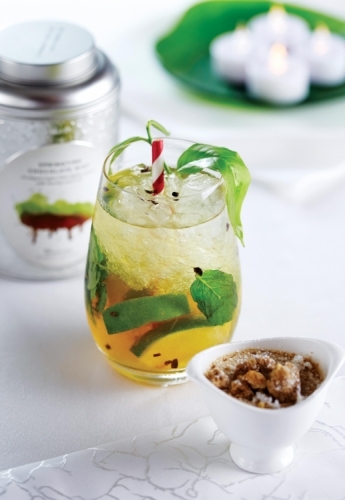 Fill glass with crushed ice and top up with carbonated Springtime Chocolate Mint Tea. Stir well. Garnish with chocolate bits and tea leaves.